It’s a lot harder than it looks to grow a thick beard. All of the Biblical figures from long ago, like Jesus, make it look pretty easy, but for us normal folks it takes months, if not years, to perfect a long lustrous beard. Fret not though, friend! If you plan on portraying Jesus in an Easter play, then you can put away that beard oil and use this great accessory! 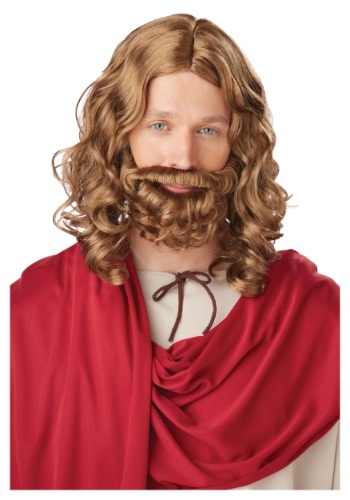 This adult Jesus beard and wig set is designed to make you look like you walked straight out of a story from the Bible. It comes with a wig of curly brown synthetic hair that fits easily on your head with an elastic band. It also comes with a matching beard that fits around your face and chin to give you a lustrous beard. Just put them on and you’ll be ready to portray Jesus in the next Easter pageant at your church.